Pandora may be the biggest music streaming service in the world, with over 200 million users, but the company has a real revenue problem, all due to fees from licensing and royalties. As much as the company is paying out already, though, those who hold the rights to those songs want even more. That has resulted in a legal battle with the American Society of Composers, Authors and Publishers (Ascap), as well and Broadcast Music Inc. (BMI), each of whom represent hundreds of thousands of songwriters, composers and publishers. While a judge recently ruled in Pandora's favor, denying Ascap and BMI the higher royalty rates that they wanted, things may not stay rosy for Pandora for long. The Department of Justice is now looking to be getting involved in the matter, according to a report out from the New York Times on Wednesday. The DOJ will look to review the 73 year-old rules that determine those fees, after which it could recommend that changes be made to the regulation. Ascap and BMI are expected to lobby the government heavily in favor of changing the rules regarding what are known as "consent decrees," which does not allow Ascap or BMI to refuse licenses to music outlets that request them. Those agreements are then subject to approval by two federal judges. What the organizations want is more flexibility, as well as an updated reviews process. Any changes recommend by the DOJ would then have to be reviewed by judges in the United States District Court for the Southern District of New York, in Manhattan. So the government's involvement does not mean that the rules would necessarily change anything. If Ascap and BMI do get what they want, though, and eventually Pandora was forced to pay higher rates, it is unlikely that the company could afford them. The problem for Pandora is that it relies on an advertising model, rather than a subscription model, to make money, That means that the more songs that listeners access, the more ads Pandora will sell, and the more money the company will get. That obviously works in Pandora's favor, and allows them to offer the service to its users for free. But, at the same time, the more songs that users play, the more Pandora has to pay out in royalty fees. And that is causing the company major headaches. According to a blog post that the company wrote last summer, Pandora has to pay out $1,370 for every million songs it plays. That translated into over $250 million in 2012 alone, and those costs are only continuing to rise. 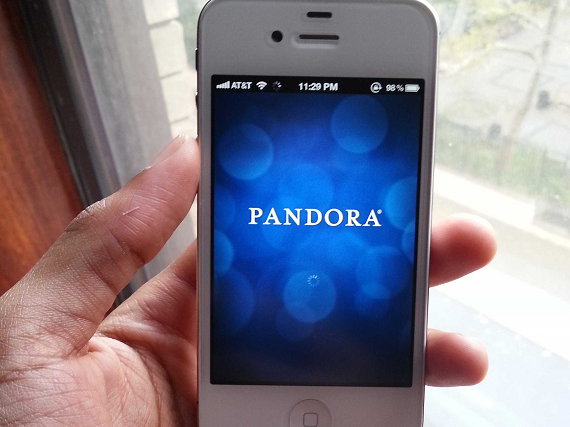 In all, for the entire year of 2013, Pandora's total revenue was $600 million. $489 million of that came from advertising, with $111 coming from subscriptions. And yet, the company gave more than half, $314 million, back in aquisition costs alone. The company wound up $26 million in the red for the year after operational costs and revenue expenses. That expense is also the reason that Pandora had a loss of $29 million, from revenue of $194 million, for the first quarter of 2014 as well. In the recent case, Pandora was ordered to pay 1.85% of its revenue to Ascap from 2011 to 2015. That was higher rate than the 1.7% that Pandora had proposed, but much lower than the 3% that Ascap was asking for. The company is already struggling to be profitable, and a higher royalty fee could kill it for good. "We look forward to participating in the DOJ's review. The consent decrees under which the PROs operate provide important protections for both songwriters and music users. For example, the consent decrees provide a mechanism to establish a reasonable royalty rate when songwriters and music users cannot agree on one. Additionally, the consent decrees help foster innovation and competition by enabling new industry entrants.Any review of the consent decrees must take into account the careful balance of how to best serve songwriters while also fostering competition and innovation to the benefit of consumers." 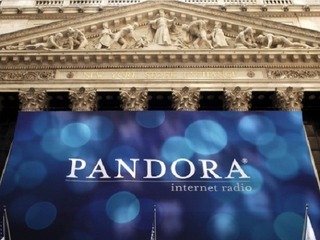 How does Pandora make money?